So A little Info first. These are some photos I had take a while back, Finally got to scan these prints in. Basically it is two non-silver processes layered. 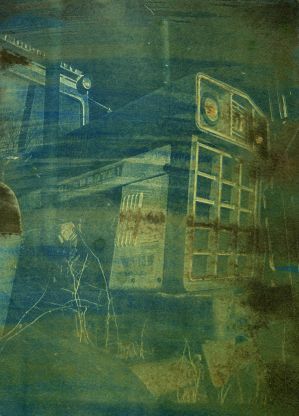 On the Bottom is the Cyanotype Process, and layered over it is the VanDyke Brown Process. 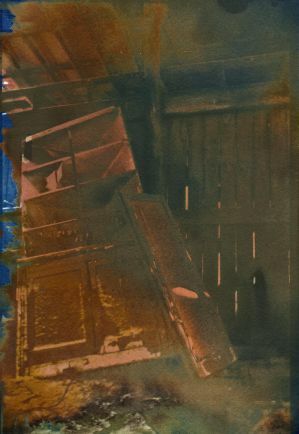 Now each of these processes has a sort of tonal enhances for cyanotype hydrogen pyroxide will enhance the tones and standard film fixer for vandyke brown. 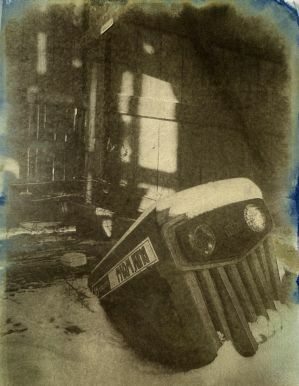 Basically I ran the print the the cyanotype. washed it let it dry, then the van dyke brown. then splashed it in some hydrogen pyroxide, washed it, and then the fixer. Now there is no way to get the same tones more than once. so each print comes out unique and unable to be exactly duplicated. anyway Its a fun process, and creates some unique results. Thanks for looking, and if you made it this for, reading all this!